If I had one point guard to take right not—any of them—I'd take Deron Williams. Chris Paul is a stud, no doubt, but Williams is a scorer, a general and poised and mature. in short, the best I've seen in a while. Boom! Headshot! Love that all these Nike "Boom!" commercials are taking place when the NFL is trying to cut back on serious and dangerous collisions. I think Clint Hurdle might be walking into a nice situation as new manager for the Pirates. He's got a pretty good young team with more help coming soon. Of course, this is contingent on management actually spending a little money. But the talent is there, or will be, and I think Clint Hurdle might have been a good choice by Pittsburgh. How is Stanford ahead of Wisconsin in the BCS? Stanford's strength of schedule is behind Boise freakin' State's. They've beat nobody—except an overrated Arizona team who lost to Oregon State—and they got exposed by Oregon. Meanwhile, the Badgers have beaten no. 9 Ohio State and no. 13 Iowa at Iowa. How does the BCS work exactly? Do they throw darts at a wall with team names on it? 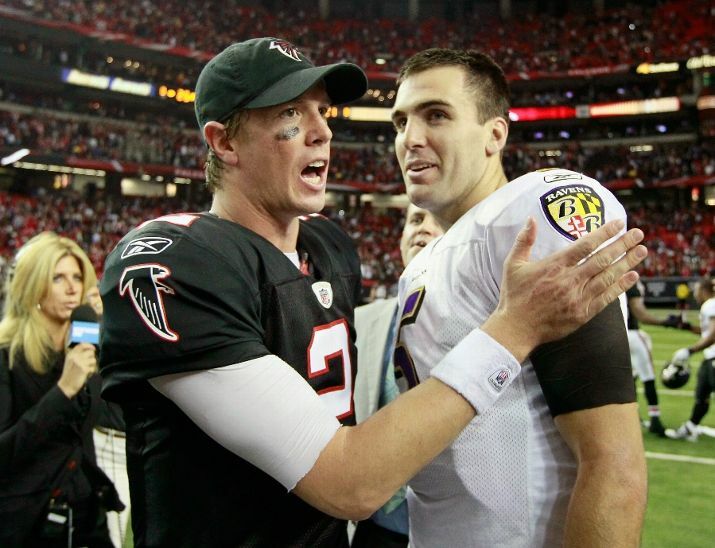 Great game last Thursday night between Joe Flacco and Matt Ryan. Fantastic watching these guys make throws they wouldn't have a couple of season ago...now taking over their respective teams.The next generation of great NFL QBs is coming on strong. Nick Folk should buy Mark Sanchez and Santonio Holmes gold watches for getting him out of that awful jam on Sunday. I think Chad Pennington should retire now and become a great coach somewhere. The guy is gutty, a true lover of the game and a good guy. Don't risk more hurt Chad. It's time. I hope Dan Persa gets a job in the NFL, I really do. After seeing him a few time at Northwestern, the guy is smart, fun to watch and a real competitor. I think Dan Uggla might be a good get for the Nationals. They could use some pop and he would certainly give it to them. Really, guys. How can you do this. Especially now? So apparently the Dodgers are willing to trade James Loney. So what? He's had a nice season in 2007, but has declined every season since....who wants to take him and pay him? So the AAPTBNL Man of the Week. 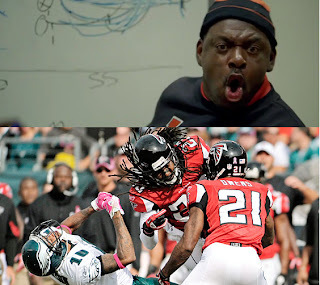 I know this site has bashed him in the past, but its gotta go to Mike Vick. Sure he does all the great stuff running the ball. But last night he had a really good game passing the ball. 20 for 28, 4 TDs and no INTs. And for the most past, he put the ball where the receivers could catch them— in stride, near their body. Good game, Mike. And lastly.....thank god he road to March Madness is here!